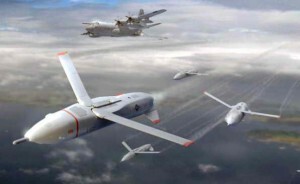 Nowadays, technology can make accurate strikes against enemy positions, minimizing the direct human presence at the same time. Partially autonomous weapons systems are able to select and hit targets without further intervention by the human operator, translating the interaction of the subjectivized machine and objectified subject into a situation of “splitting” and framed interaction. Communication with a drone is realized by a special application, which distances the subject from direct participation in warfares. The pilot delegates his duties to the program, which becomes “responsible” for the possible people’s death. In addition, psychologists reveal the acute complex consequences of a post-traumatic syndrome in the pilots’ personality. This way of thinking raisess the question of defining a drone as a moral agent who, according to Kant, cannot only behave under the laws of morality but also make his choice autonomously and independently. At such situation, who is an “owner” of a moral responsibility? A living subject or programmed anthropomorphic interface? A similar example of the transformation of the moral agent and responsibility, we can find from Hannah Arendt, who defined the actions of the Gestapo employee Adolf Eichmann in terms of the banality of evil and mechanization. Carrying out an order, in this case, he represents a programmed machine, which doesn’t propose the remorse after lethal consequences and mass mortality of human. In addition, the result of the Nuremberg trials shows that collective moral agent dominates the individual agent. The moral agent represents himself as the part of an army, the war, warring people, which also delegates personal responsibility to institutions and government, giving the orders. Thus, modern ethics comes to the necessity of forming the new measure of moral assessment in the range of the “technogenic” sphere. In the times of a total “technologization”, who is responsible for a military engagement: machinery or creator/operator? Another question how long will drones act under the human control and who will be responsible in case of total autonomy technology? Could technique get control over human morality? This topic generates a predictive model of new understanding of ethical responsibility.